What comes to mind when we think about the Last Supper? Perhaps you envision the famous Leonardo da Vinci painting which captures the moment Jesus revealed there was a traitor in their midst. Maybe you focus on Jesus helping his Apostles to prepare for the trauma of his coming crucifixion. Perhaps you dwell on Jesus washing his follower’s feet or maybe it comes down to the simple ritual he asked them to keep in remembrance of him. The fact is, the events of those few hours give us a profoundly deep glimpse into the heart and mind of Jesus and his overwhelming loyalty to those who followed him. As usual with any biblical account there are details buried within the story telling of the four Gospels that make these events come alive on a level that we often overlook. Ep. 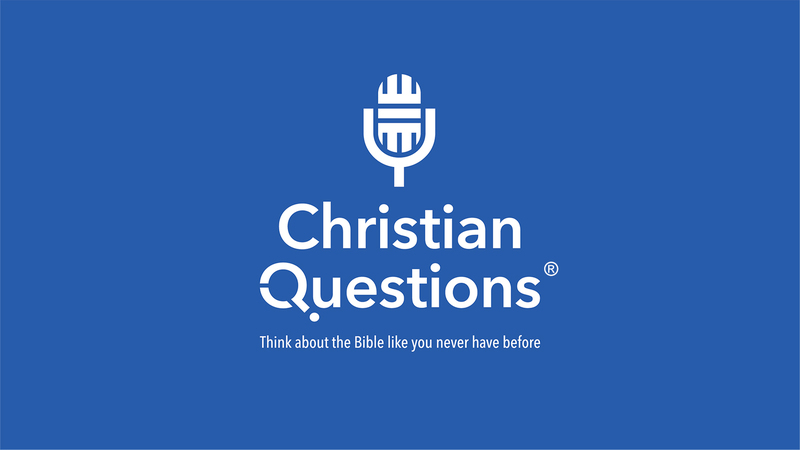 1065: What Was Jesus’ Top Priority? Life is overflowing with opportunities, and I'm not talking about the big things that change your world. I'm talking about the small and often-overlooked chances in your everyday to refocus on the good, or to simply be kind or to elevate a conversation rather than diminish it. The point here is that many of our life experiences are a result of small decisions that are actually a result of indecision. In the Old Testament, there lived a man named Lot whose life was an example of this. Lot had faith in God and God protected him. In spite of this, his life experiences produced much sadness, folly and cause for regret. How did he get to such an end? He hesitated. He hesitated when it came to godly choices and he constantly did “almost” enough when it came to godly actions! Sometimes we are called by destiny. Queen Esther of the Old Testament showed us what can happen when circumstances open the door for uncharacteristic heroism. In Part 1, we told the story of how a Jewish teenage girl kept her calm and found a way to save her people at great personal risk. She worked within the constraints of her ancient society to rise to the highest level available, all while remaining focused and humble. Her story has inspired people for centuries and left scholars to dissect its literary construction and contemporary significance. As with much of the Bible, there are layers of lessons to explore, and Esther is no exception! Esther’s story can be seen to parallel the walk of a Christian in thought-provoking and unique ways. What do Esther’s experiences teach us about our faith and our choices? Atheists will tell you there is no scientific proof of God nor can there be. They have a materialistic view of the universe that, by definition, excludes God. Though this philosophy is pervasive in the world today, there is much evidence that reveals a great deal of willing ignorance in that belief. Is science the only source of truth? Does science really validate godlessness or show intelligent design? On this podcast, we review a number of scientific ideas and questions that demonstrate the other side of the argument, namely, that a super-intelligent Creator is behind the existing of this universe and all life. Baptism is an enormous part of Christianity. It is mentioned frequently and seriously throughout the New Testament. While most Christians agree on its importance, we vastly disagree on its meaning and place within our teachings. Is baptism a symbol of what has begun changing in you or does it actually change you? Is it a ritual of sprinkling or is it a complete immersion in water? Should babies, children and adults be baptized? What are we supposed to be baptized into? The Bible seemingly tells us two different things. Is it just into the name of Jesus or is it into “the Father, Son and the Holy Spirit”? With all of the questions surrounding baptism it is no wonder that there is so much confusion in finding clarity. The good news is that if we pay close attention to biblical history and context we can find answers that are sensible and scripturally sound! ‘Til death do us part!” It seems not all that long ago those words (which were in some way included in every marriage ceremony) really meant something. They symbolized the depth of a promise made between a man and a woman to stand beside one another through any and all circumstances. I really couldn’t tell you if some semblance of those words is still part of a typical marriage ceremony, but I can tell you that unfortunately more than half of all marriages fail. Why? What are the missing or overlooked or unknown ingredients that make a strong marriage? What should we be saying, doing or thinking to be continually building a relationship that can not only last but will grow in meaninful ways over a lifetime?